David on the San Juan ferry, a photo by The Bacher Family on Flickr. 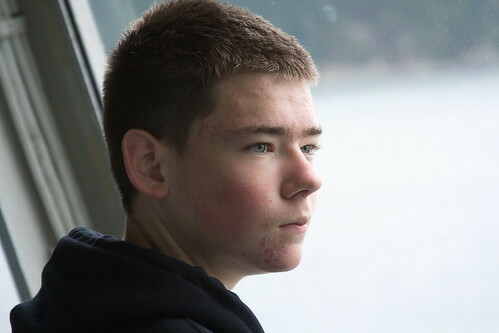 This portrait of my son David was taken on the ferry from Anacortes to Friday Harbor. I love the soft, natural light from the observation window at the front of the ferry as we headed west on the morning transit!